Chillers commonly use refrigerant gas to provide cooling and therefore temperature control for large commercial properties. Integral is a maintenance specialist, who regularly maintains those assets on behalf of some of the largest clients in Great Britain, many of them household names. New developments in thermal imaging have enabled Integral to identify refrigerant gas leaks caused by wear or damage, which went undetected by other maintenance methods. 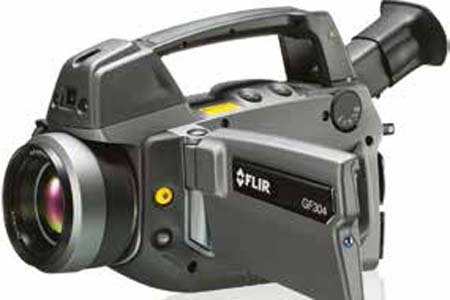 The leaks were found quickly and efficiently by the GF304 thermal imaging camera from FLIR Systems.